In this Post: Driving traffic to your massage business through online reviews is one of the easiest ways to boost your SEO ranking. 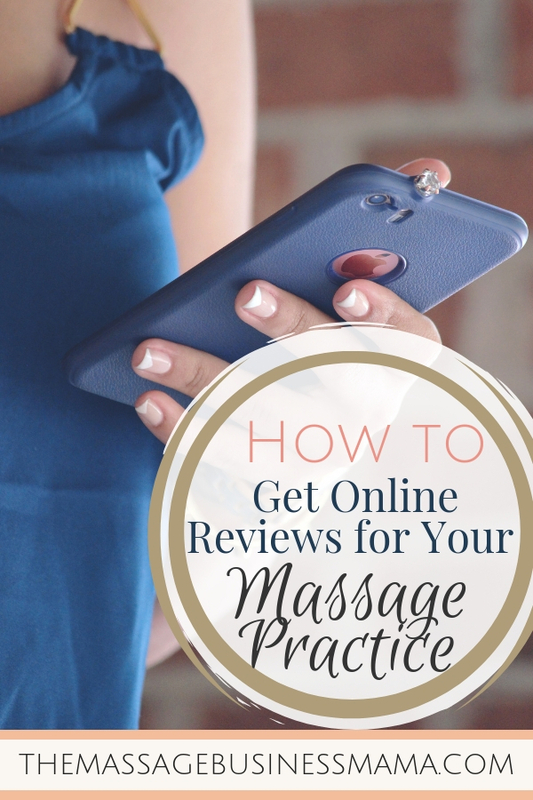 Learn how to get online reviews for your massage business. Learn tips and tools to develop a system for ASKING for the review. Online reviews can be a huge factor in driving traffic to us if we leverage our clients love for us for good. I know it can be a bit intimidating at first to ask your clients for favors, but the thing is, they love you and want to see you succeed! They will be thrilled if you give them a reason to help you out! There are a couple of reasons it would behoove you to focus some attention on gaining reviews. Not only do reviews help drive traffic to you from the people reading the reviews, but they are also an effective method for increasing your SEO traffic! SEO or Search Engine Optimization is a critical element in having a strong web presence. It helps you rank higher when someone searches for massage in your area. When I first started researching SEO strategies, my head spun out of control! There are so many things to do and think about when attempting to up our rating! With client reviews, you can get your clients to do some of the hard work of boosting your ranking! I don’t know about you, but anytime I can get someone else to do my work, I am a happy camper! Client reviews are HUGE for SEO ranking. The more reviews we have, the higher we rank. Even better, even if those reviews aren’t 5-star reviews, they still help our web presence gain traction. Pretty cool huh, even the bad reviews help us out! Obviously, a good review is better, but I’ll bet you never thought that a bad review could actually do something good for you. My suggestion is to develop a system for asking for client reviews. Any time that we can develop systems or automate processes in our business we are boosting our efficiency. Efficiency may not seem that important when you are first entering into business, but over time you will discover how important it truly is! Pick the platform on which you would like your clients to review you. My suggestion would be to pick 1 or 2 platforms not 5 or 6 like I did in the beginning. Have you ever heard of Hotfrog? I hadn’t either, but yet I still chose to ask people to review me there. This was a mistake. It confused people. 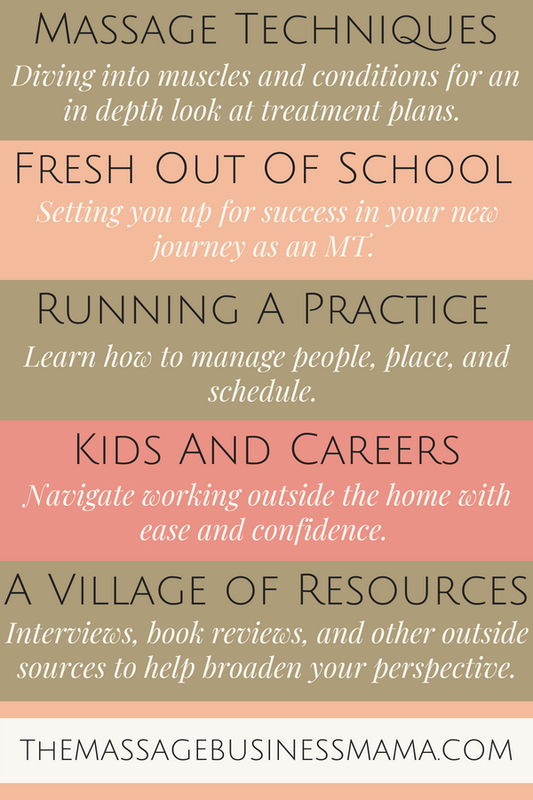 You don’t want to overwhelm your clients with too many options. Now that I have wisened up I focus my efforts on getting reviews on Yelp and Google. In my experience, these two platforms help more than others, but you may find a different platform that works well for you. I know many therapists who rely heavily on Facebook reviews for providing their traffic. While the act of hanging a sign alone probably won’t do much to gain you actual reviews, it will serve as a reminder for you to make the ASK. And this alone is reason enough to hang a sign. I’m a big proponent of hanging signs. I have signs reminding me of my goals, signs to dissuade inappropriate clients, and signs reminding my staff of procedures. Signs work! This is the most important step! If you don’t ask your clients to review you, how do you expect to start building an amazing review portfolio? After your client has received their amazing, life-changing massage from you, ask them if they would be so kind as to give you a review. My favorite method for asking clients to write reviews is to say, “I will be sending you an email later with a link to a review site. Would you mind leaving a review for me? ” This way you aren’t leaving it up to them to remember to go back and review you, massage brain is a real thing. Even the most well-intended clients will forget if you fail to give them that extra nudge. Craft a welcome email to go out after every new client, asking for a review. This is where the automation process can come in really handy. Check to see if your email provider has the option to have this occur automatically after a client has seen you. Even better if you can prompt your provider to stop sending this email once your client has clicked through to the review site. Some email providers have more options in this regard. Don’t be shy to go back a couple of times a year to ask your existing clients to review you. Social media can be an excellent way to do this because your clients will already be online. Or you can schedule your email provider to send out review reminders once or twice a year. Develop a system that works for you. Take pieces from what I have shared and tweak it to make it your own. Personalize it until it feels comfortable to you. And then watch your reviews explode! You are dynamite at what you do, your clients know it, now help the rest of the world see it too. Part of your job as a massage therapist is self-promotion, and as awkward as it feels at first, know that with time it WILL get better!